Alyssa Carlier | The Devil Orders Takeout: Bookish Takeout : Should we give a series a second chance? 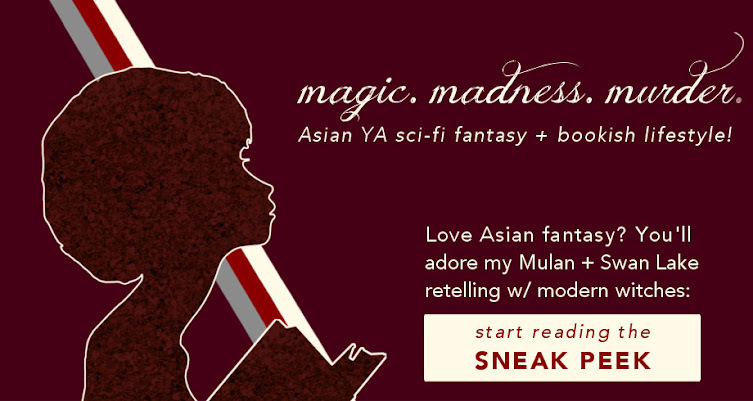 Bookish Takeout : Should we give a series a second chance? This post has been rewritten and will have a new home soon. In the meantime, why not join this book merch giveaway (open INT'L)? Oh, I love this post! I usually have trouble keeping up with series because I get distracted by other books, but I guess waiting until all the books are out is a better option, right? So, for me to continue a series or to give it another try, I have to really love the characters and the story. OMG, I get distracted SO OFTEN. Unless I buy all the books together, I just forget I have yet to read the next books! Waiting's definitely a choice, but I often feel the need to jump on the bandwagon when it's all hyped XD Characters are sooo important in my decision. For me, it usually comes down to the technical nitty-gritty of the writing. If the grammar and punctuation are bad, I won't be continuing with the series... no matter how exciting the plot is or how intriguing the characters are. Poor quality writing kills my enjoyment (and my will to continue with a series) faster than just about anything else! *sighs with you* I know the feeling. I don't think I'd even consider finishing the first book if I had to struggle through bad prose and such. Beautiful writing is one of my absolute fav things, so I hate it when even grammar is wrong. Hell, I don't think I'd even enjoy a poor-grammar but nice-plot fanfiction! It's funny, we seem to have opposite book tastes. I tried to read Game of Thrones but both times it's just been too cumbersome to want to read the rest; I watched the first season of the show and the characters don't really compel me, either, so I don't think I'll give that series a second chance. I have read Lord of the Rings and my thoughts on that... IT'S JUST SO CUMBERSOME THAT'S THE ONLY WORD I CAN THINK OF TO USE. Meanwhile, I loved Shadow and Bone because I entered it with no expectations and was delighted that the villain was the love interest (NO BUT DO YOU KNOW HOW GREAT THAT IS I LOVE WHEN EVIL IS TEMPTING) and I agree that the cover of the other one is pretty but I haven't felt like picking it up. I'm not a second chances person in general... But I do give chances, which I feel like it. I am quite the malevolent reader. I chose these on purpose because they were really difficult choices to make! Okay, the truth is, for GoT the choice wasn't that difficult because my friend cajoled me into getting the entire series (and my goodness, do you know how expensive these are standalone?) But I really enjoyed it in the end so it paid off. I totally agree that the struggle is real. XD There is absolutely 0% of me that is interested in finishing the Matched series. But, funny you should mention Shadow & Bone and the Winner's Curse. xD OKAY BUT I GAVE BOTH OF THEM "MEH" RATINGS. I liked them but wasn't blown away at all. And then both the sequels were 5-stars for me. *flails* So I kind of reeeealy do recommend you keep reading. But at the same time, if they're not for you? Don't bother. There are too many books in the world. ^_^ I almost always continue with series if I at all liked the first book. Usually it takes me two million years, buuuut. I try. That's exactly why I chose those two books! Everyone is telling me, "are you serious? The next books are SO AMAZING." And I'm like, "that's what people said with the first book. Do I trust you? DO I?" It basically boiled down to the hard fact that I had a really long TBR of books without that first negative impression, so as you say, there are too many books. We have to choose. Valar morghulis. Usually, if I like one book, I will like the whole series, but not always. I LOVED the first three books in The Monstrumologist series but decided not to read the last one because I knew it all ended in the most horrible way possible, and I loved the characters too much to put myself through that. I wasn't too crazy about Throne of Glass, so I never picked up Crown of Midnight, but I've heard that it's much better, so I might give it a try. I've actually found that a lot of series deteriorate over time ... Hunger Games, Maze Runner, even Harry Potter to a small extent (although it made its rebound in the last one-and-a-half books.) But I love it when series end in the most horrible way possible, so now you've just interested me. I have the exact same problem with ToG! The sample chapter didn't pull me in so I never got it, then I read ACOTAR and didn't like it, but everyone tells me "the second book is better!" I don't think I've really come to the point when I quit on a series exactly. If I don't like the first book, normally I won't even finish it. There was one series though. . . I don't remember what the series was called. But the first book was Finnikin of the Rock. And I adored it so much! It was absolutely beautiful and I loved the world of the book and just everything. Then I tried to read the sequel, something about Froi of the Exiles, I think. The cover was amazing, and I loved the title. But I didn't make it to the fourth chapter. I really tried. But the topics the book brought up in the beginning and the mental images the dialogue was giving me kind of put me off. . . I might try it again though. Just because I loved the first book so much, and I'm curious about some of those side characters. I actually really liked The Winner's Curse, but still made the decision not to try the next book. And I just hate it when the first book is wonderful and the next ones aren't. I also hate it when books have beautiful covers and premises and titles but don't live up to the potential. I FEEL LIED TO. THAT CAN'T HAPPEN. I think the only series I've ever quit intionally was The Mortal Instrument. I lost interest in the characters and the storyline was going down hill for the last three books. Otherwise, I usually just forget to keep up with book series. I'm the type of person who always wants to know what happens next, so I torture myself by reading series I hate. Like the Left behinds series. WORSE BOOKS EVER. But I needed to know how it ended. The struggle was real. I'm in the process of reading LotR and I understand the frustration. It's SO SLOW. I just want Frodo to disappear already. Yes, that happens to me too! With LOTR especially -- that took me a while to love, but now I will defend it to the death. Oh yes, some people just dislike series and that's fine! Although YA is overrun with fantasy trilogies these days -- standalones are mostly contemporary. Girl I love your infographic there! So nice xD For me, it's actually really non-formulaic. If I'm just seeing too many people raving over the series, I kinda just cave in and decide to give it another go - like with the Raven Boys. I DNFed it but I want to give it another shot because everyone says it gets so much better and faster paced after you get through the first half. I have kind of a different problem- I MAKE myself finish series, even if I don't love the first book. SO dumb. Especially with TMI. Seriously, someone should have smacked me. The only book that I KNOW I will not continue with is Magonia. I didn't like it much, but I also DID like the ending. But otherwise.. I will keep reading almost any series. Part of me even wants to read the next Seeker book! WHY!? Just why!? I should listen to your chart. Your chart is good. I used to have that problem too! But at that time I wasn't acquainted with the book blogosphere and so wasn't as swamped by TBRs. I automatically dislike books which don't stand alone (first books in a series, at least), so I'm somewhat spared that -- but I'm glad the infographic is helpful! I have struggled to finish so many series but I never thought of listening to a series rather than reading, thats a good idea! The issue mainly arose for Lord of the Rings and other classic-y, dense books. It works for me often, so I hope you manage to read more series! Thanks for dropping by, Heather!